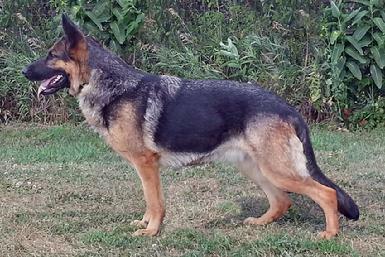 German Shepherds for sport, police, personal protection and family companions. 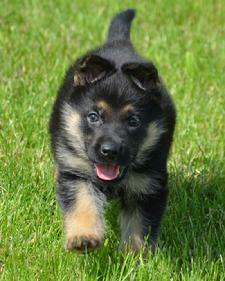 The German Shepherd Dog is the most widely recognized dog breed in the world. 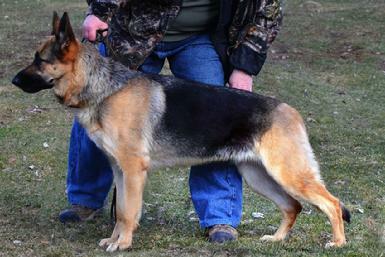 Its fame is quite amazing, considering this breed was first recognized by the German breed club in April 1899. The dog was developed and promoted by Rittmeister Max von Stephanitz and Herr Artur Meyer as the ultimate canine working machine to perform herding services. 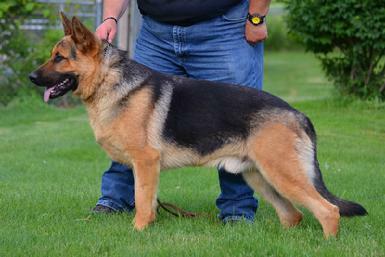 Von Stephanitz is recognized as the "father" of the breed, and led the German parent club from 1899 through 1935. Lifestyles were changing quickly at the turn of the century, and as true herding dogs became less needed, Von Stephanitz began to encourage use of the breed in other areas of work. 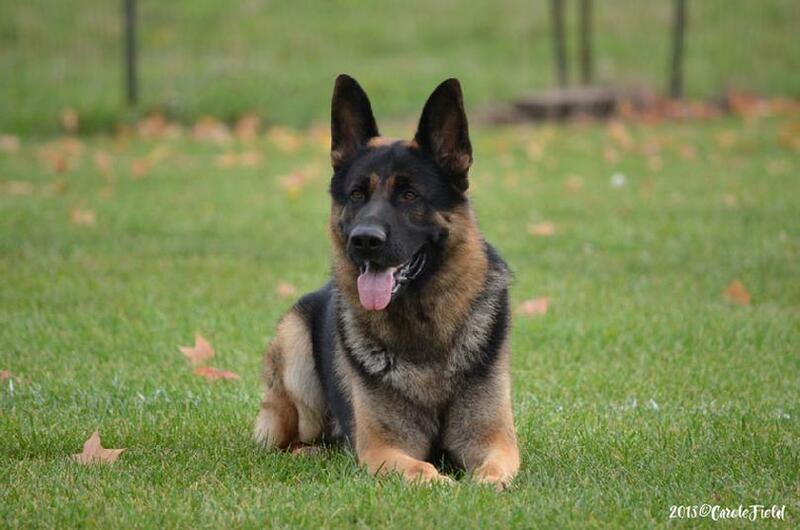 He was initially laughed at when he suggested that police and other authorities use the dogs in their work. Today, the German Shepherd Dog is THE premiere working dog, chosen more often than any other breed to perform service to mankind. 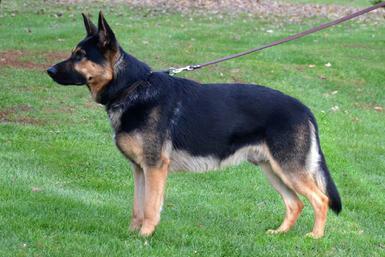 The German Shepherd is of medium size, standing 22 to 24 inches tall and weighing 75 to 95 pounds. Its low maintenance double coat offers protection in all climates and weather conditions. The physical power and agility of the breed combined with its superior intelligence and trainability was first utilized in a wide spread basis during World War I. About 48,000 dogs were recruited by Germany for guard and messenger duty. Strong anti-German sentiment existed immediately following the war, and the breed name was changed to Alsatian in Britain. However the film adventures of Strongheart and Rin-Tin-Tin coupled with stories of feats performed by the dogs brought back by the "doughboys" renewed the breed's popularity here in the United States. During World War II, the breed was used by the Allied forces. At the beginning of the war, 39 breeds were listed as acceptable for service. 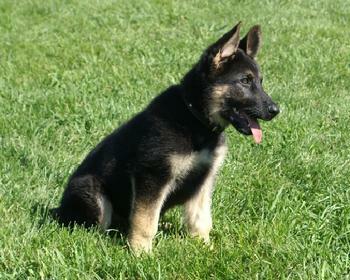 However, by 1946, the German Shepherd Dog was listed as the official breed for training. Their role expanded from guard and sentry duty to scouting, patrolling, tracking and mine and tunnel detection. Again, stories of the breed's immeasurable bravery under fire were brought home by the soldiers after the war. And, of course, the adventures of Rin-Tin-Tin, now on television, and even Roy Rogers’ dog Bullet expanded the breed’s popularity. 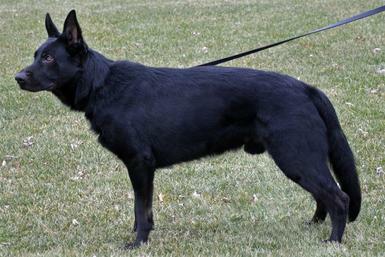 Despite its many wartime uses, the German Shepherd Dog has also provided a multitude of civilian service functions. In 1931, The Seeing Eye, Incorporated was formed to train Shepherds as guide dogs for the blind. Today, Guide Dogs for the Blind, Leader Dogs and Guiding Eyes for the Blind also train German Shepherds for blind service. 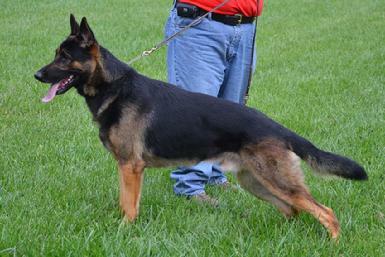 The German Shepherd excels in search and rescue capabilities, and is the only breed of dog used by the American Rescue Dog Association (ARDA), the nation's oldest air-scenting search dog organization, founded in 1972. These dogs were first seen on national television searching for survivors after the Mount St. Helens eruption in 1980, and more recently during the World Trade Center deployment after September 11, 2001. Even the famous hospice at St. Bernard in Switzerland now uses German Shepherds in their avalanche rescue work. St. Bernard's, the dogs traditionally used to patrol the snow covered mountains, are now bred by the hospice merely as a tourist attraction. Many law enforcement agencies throughout the United States also employ German Shepherd Dogs as patrol, drug and bomb detection dogs. 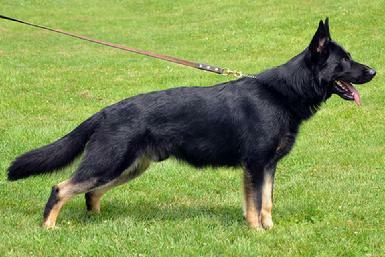 In fact, use of the breed by law enforcement has become so common place that the term "Police Dog" and "K-9" are commonly used to describe the German Shepherd Dog. 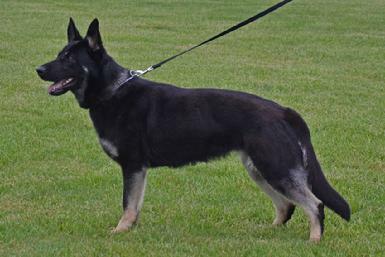 Their extraordinary ability and desire to work are unparalleled among other dog breeds. Although certain other breeds might excel in one specific area of work, (the Bloodhound has a stronger nose, the Malinois runs faster, the Rottweiler bites harder, etc. 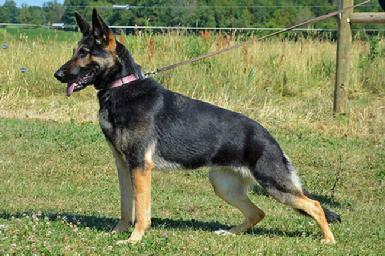 ), the German Shepherd Dog is second best at everything. No other breed of dog is as versatile and accomplished. 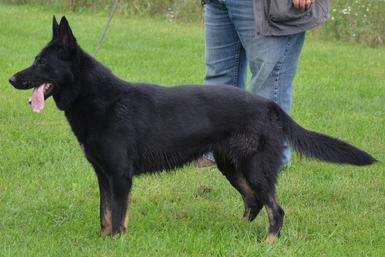 Industry has also benefited from the unique skills of the breed. Utility companies have used Shepherds to locate oil and gas leaks, and Mineral Corporations have also used Shepherds to locate zinc, lead and copper underground. 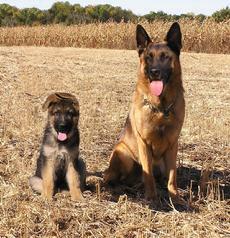 The German Shepherd's greatest level of popularity, however, has to be measured at home. It is the most popular breed of dog in the world, and its devout loyalty to family is legendary. The dog will do anything, including risking its own life, for the person it loves. 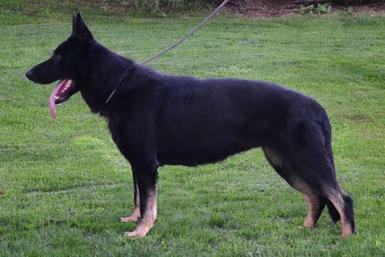 Whatever your need - herder or house dog, K-9 or companion, partner or pet - the German Shepherd Dog is equipped to fit the role. 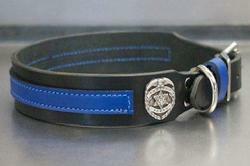 Cher Car Kennels has a long standing relationship with law enforcement and military service personnel. 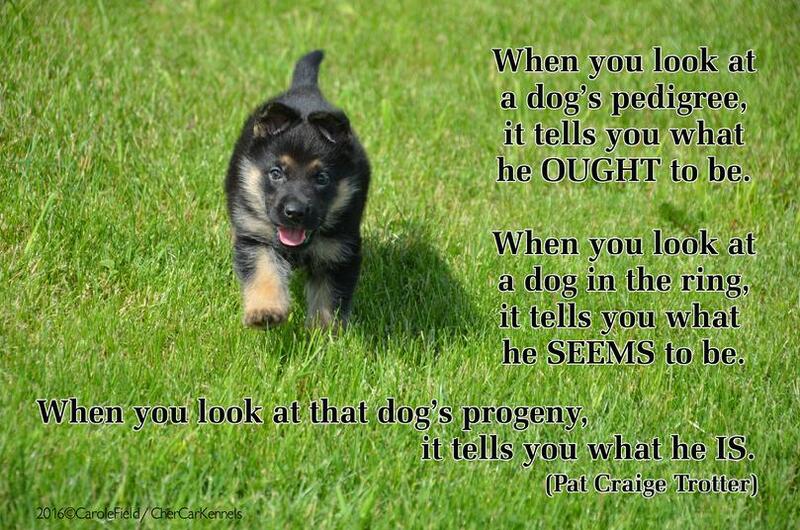 Although appreciative of a high drive Police Service or Military Working Dog, these individuals require a different type of canine companion in their own home, and many choose a herding breed to safeguard their loved ones. These dogs must be vigilant in their duties, but also calm and gentle with family members… playing with the kids or snuggling with the cat. Cher Car Kennels’ 40+ years of breeding experience has produced a long line of dogs whose temperaments meet that need. The August 2011 issue of Dog World Magazine is dedicated to German Shepherds, and contains a United Kennel Club ad that pictures 4 of our dogs! The dog leaping for the toy is not ours, but the others are Cher Car Kennels� very own UAGI URO1 CH �Greer� CGC, UAGI UCD CH �Zodiac�, PD1 P1 �Nicky� BH BTr PPD CGC TT TC TDI, and AN UAGI URO1 "Cutter" CSAU CGC TDI. 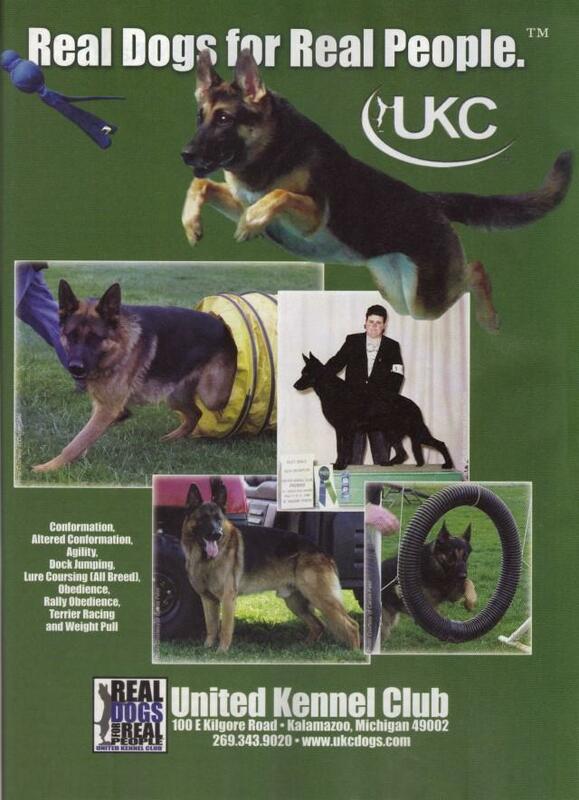 The picture of Cheryl finishing �Zodiac� at the Premier is from 1996 and was a difficult yet prestigious win for a solid black GSD to take Best Male at UKC�s biggest show of the year! Many thanks to the UKC for recognizing the versatility and beauty of our dogs.